A one day weekend workshop with apron at Cooks Academy, South William St, D2. 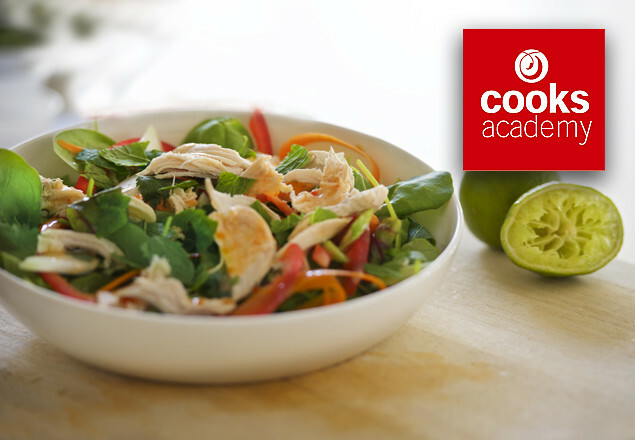 Perfect your cookery skills with one of Cooks Academy’s acclaimed One Day Workshops. For the discounted price of only €99.00, exclusively to Rewarding Times subscribers, you get a Saturday Workshop anytime between now and the end of 2016 together with a free Cooks Academy Apron. And, of course, Cooks Academy boasts a stunning, state of the art, city centre facility on South William Street. There is a great variety of workshops to choose from including: Indian, Italian, Vietnamese, Seafood, Thai, Fabulous Chocolate Deserts, Pastries, Vegetarian, Gluten Free, Bread Making, Home Baking, Celebration Cakes, Super Sourdough Workshop, and Classic Cooking for Christmas Day. You can purchase up to 4 vouchers per person. Please ensure if you’re booking to attend with a friend that you are booked at the same time. Voucher reference must be quoted when booking. Vouchers will be emailed to you once the offer has closed. Offer valid on 2016 courses only. Apron available on day of course. Workshops will start at 10am and finish at 4pm. Once a workshop is booked using Rewarding Times voucher , Cooks Academy’s standard Terms and Conditions apply. View here. Saving based on information provided by the partner at time of sale.